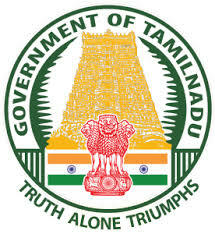 Teacher Recruitment Board of Tamil Nadu Government published notification for recruitment for 1663 Post Graduate Assistants / Physical Education Directors. View more information about recruitment for e.g. educational qualification, selection process, age limit, no of posts, name of posts, how to apply, important dates, important links all are as under. Educational qualification: Candidates should have Post Graduate degree in the relevant subject with B.Ed degree from a recognized University or Institution. Applicant will be select on Written Test and Certificate Verification.